Geno Auriemma (University of Connecticut), 2000 U.S. Olympic Team assistant coach, 2014-16 USA Basketball Women’s National Team head coach. Sue Bird, USA Basketball teammate of Staley's from in 2002 and 2004; coached by Staley, who was an assistant coach, at the 2008 and 2016 Olympics and 2006 and 2014 FIBA World Championship and the 2007 Olympic Qualifying Tournament. What makes Dawn a champion goes beyond any of the points, rebounds or assists she tallied. She could see the game in such a way where she always knew what her team needed in order to win. 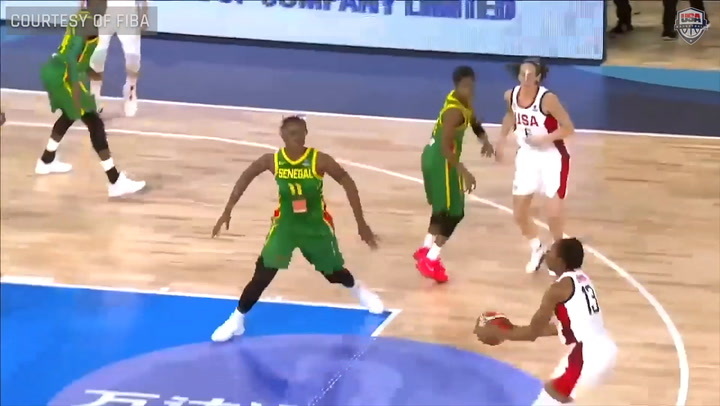 She knew what her team needed to run, which player needed to get the ball and where. And, she was always communicating this to the rest of the team. I saw that in her as a player, and I see it in her as a coach. Tamika Catchings, USA Basketball teammate of Staley’s from 2002-04; coached by Staley, who was an assistant coach, at the 2008 and 2016 Olympics and 2010 FIBA World Championship. “Everything about Dawn screams champion! Her dedication on the court, from being a teammate of hers, to having her as one of my mentors, to what she's been able to establish on the coaching level… (she is) the epitome of a champion! Teresa Edwards, USA Basketball teammate of Staley’s at the 2000 Olympics, 1996 Olympics, 1994 World Championship and the 1995-96 USA Women’s National Team. 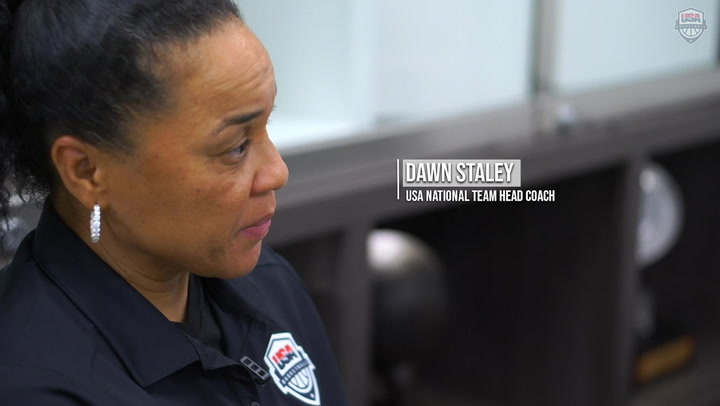 “Dawn Staley embodies passion. What makes her a champion is her dedication to perfection. On every level and in each endeavor, she has consistently held her value as a true champion of women's basketball. “Champions of coach Dawn Staley's caliber are rarely seen today, given her experience, knowledge of greatness and loyal dedication to 'One Team - One Mission.' With many years of devotion to our USA National Teams, she's served as an assistant coach successfully after standing on the podium as a player. Coach Staley is not only a great choice to lead our national team, as this time in history, she is the only choice." Lisa Leslie, USA Basketball teammate of Staley’s from 1989-2004, including three Olympic gold-medal winning teams and two World Championship gold-medal winning teams; athlete on the 2008 U.S. Olympic Team, with Staley as an assistant coach. Debbie Ryan, former University of Virginia head coach and 1989 USA Junior World Championship Team head coach.